Today was the annual designation ceremony for the Provincial Historic Commemorations Program. This year, following a nomination made by the Intangible Cultural Heritage Office of the Heritage Foundation of Newfoundland and Labrador, Traditional Games of Newfoundland and Labrador was designated as a Cultural Tradition and Practice! You can read a bit more about the designation here. 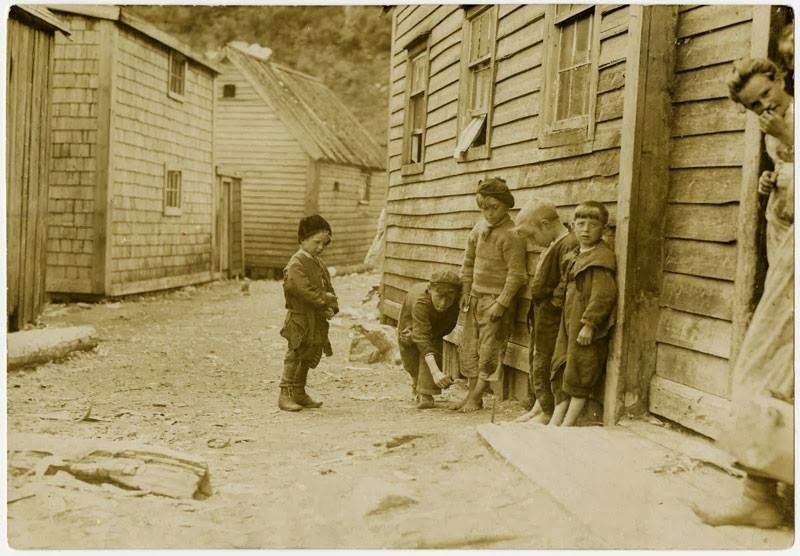 The photo above is courtesy of The Rooms Provincial Archives Corporation of Newfoundland and Labrador (photo A 7-12). It shows children playing pitch and toss, Grey River. There is a description of the game in the Dictionary of Newfoundland English: "You stand away so far, an' you pitch your button. The handiest to the peg, after so many pitches [would win]. C 70-15 The object of the game was to pitch a button from the hole [where you stood] so that the button touched the 'nag' (or stick). C 71-22 Make a mot in the ground with your heel. Stand at a distance from the hole and pitch the buttons." Thanks to Sharon King-Campbell for her work preparing the nomination files, and to Joy Barfoot and Laurie Roche Lawrence at the The Rooms, Judy Cameron with The Town of Carbonear's World Cup of Tiddly, Peter Laracy at Cupids Legacy Centre, and Jordan Brown, President of The Labrador Heritage Society Height of Land Branch, for their letters of support for this nomination!